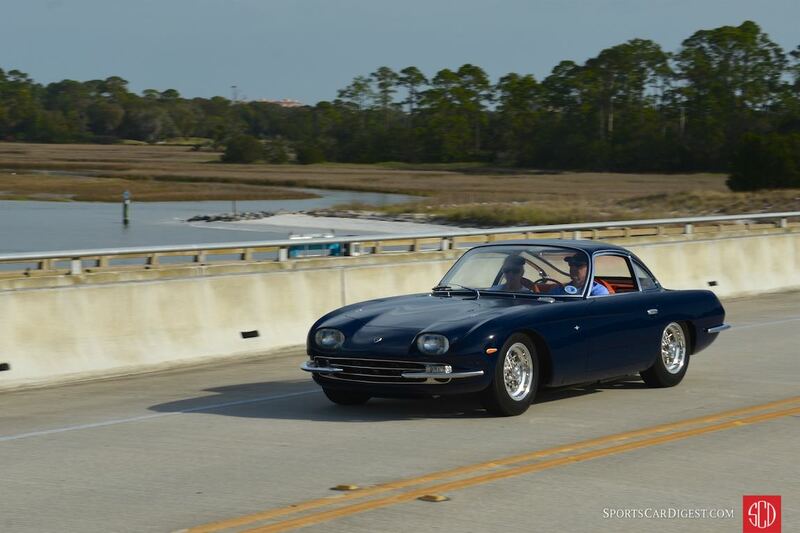 The Amelia Island Tour 2016 was held Friday, March 11th, starting at the Ritz-Carlton Amelia Island and ending in downtown Fernandina Beach. 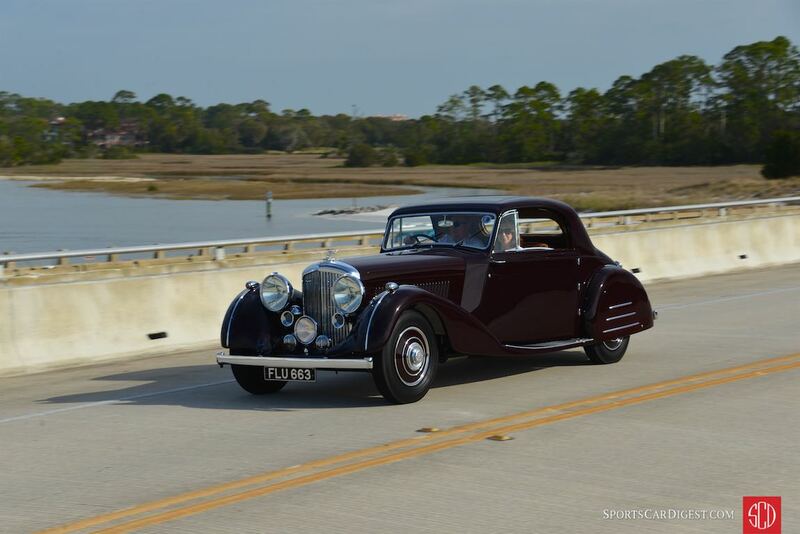 The annual scenic trip around the coastal roads of northeast Florida was open to vehicles participating in the 2016 Amelia Island Concours d’Elegance on Sunday, March 13th. 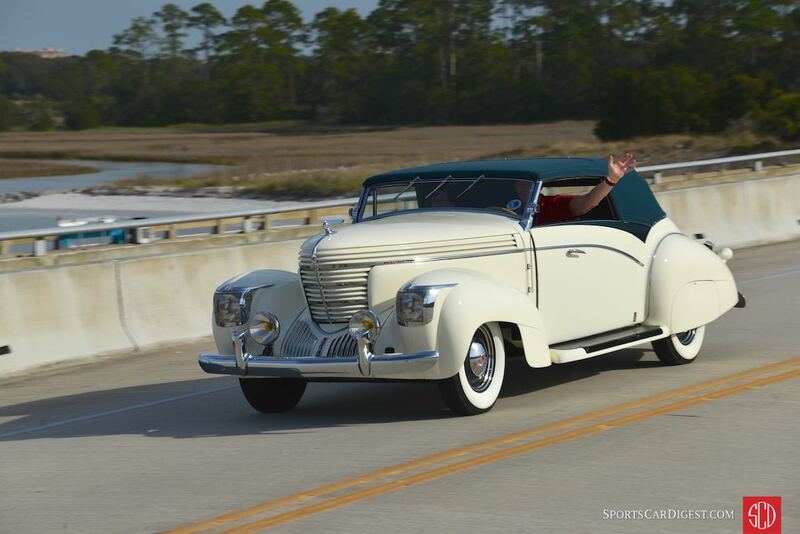 This year’s ‘Eight Flags’ Road Tour saw more than 40 historic automobiles take off from Amelia Island for a journey of the region’s scenic driving routes. With its ‘Eight Flags’ name, the Tour celebrates the unique fact that eight nations’ flags have flown over Amelia since 1562, the only municipality in the United States that has flown that many national flags. 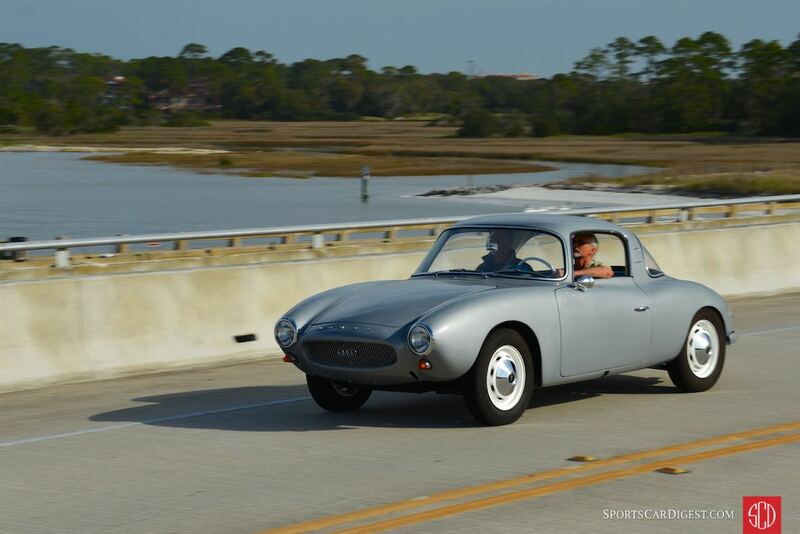 Interesting and notable participants included a 1952 Porsche 356 America Roadster; 1951 Cooper-MG ‘JOY 500’; 1953 Allard J2X Competition; 1934 Packard Twelve Dietrich Stationary Coupe; 1968 Ford GT40 Mk III; 1937 Delage D8-120 Cabriolet; 1958 Ferrari 250 GT LWB Berlinetta ‘Tour de France’; 1938 Graham 97 Supercharged Cabriolet by Saoutchik; 1958 Pegaso Z-103 Touring Berlinetta and 1969 De Tomaso Mangusta Bordinat Prototype; among others. 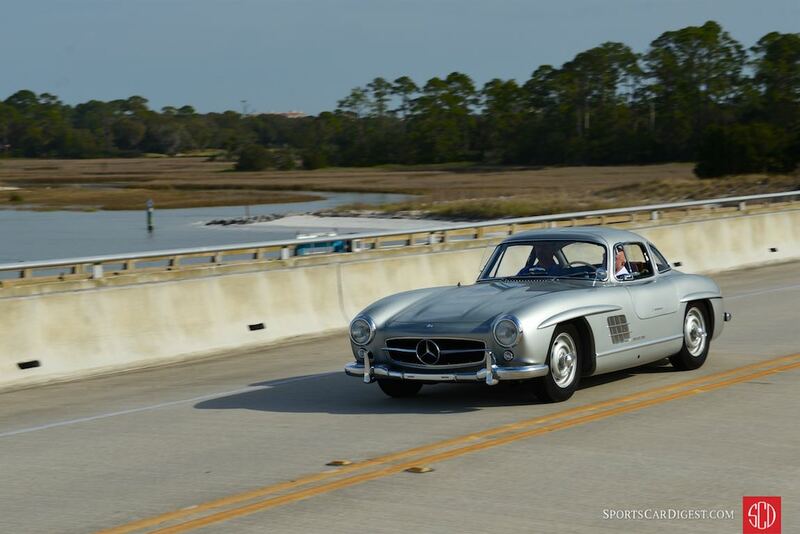 Sports Car Digest documented the 2016 Amelia Island ‘Eight Flags’ Road Tour with following selection of photos from the annual scenic trip around the coastal roads of northeast Florida. We split up the pictures into two galleries. The first gallery starting below features our favorite images, all displayed in the full-width view, while the second gallery can be found on the last page of the article and gives a comprehensive view of all photographs. Killer pictures SCD. 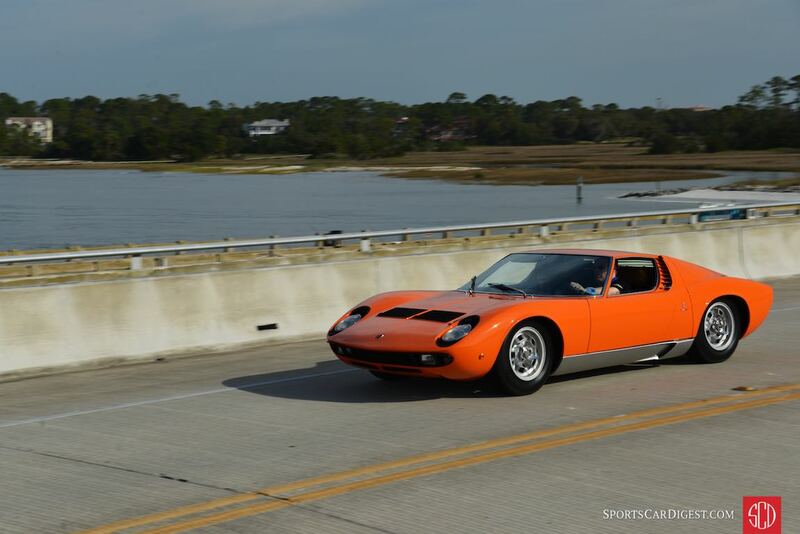 The Pegaso and Miura are to die for!